Addresses the complex relationship between cinema and national identity in an age of globalisation and transnational cultural flows. Why do we think of clusters of films as a 'national cinema'? Why has the relationship between the nation and film become so widely and uncritically accepted? Theorising National Cinema is a major contribution to work on national cinemas, by many of the leading scholars in the field. It addresses the knotty and complex relationship between cinema and national identity, showing that the nationality of a cinema production company – and of the films it makes – have not always been seen as pertinent. The volume begins by reviewing and rethinking the concept of national cinema in an age of globalisation, and it goes on to chart the parallel developments of national film industries and the idea of the nation state in countries as diverse as Japan, South Korea, Russia, France and Italy.The issue of a 'national cinema' for nation states of contested status – with disputed borders or displaced peoples – is discussed in relation to filmmaking in Taiwan, Ireland and Palestine. The contributors also consider the future of national cinema in an age of transnational cultural flows, exploring issues of national identity and cinema in Latin America, Asia, the Middle East, India, Africa and Europe. 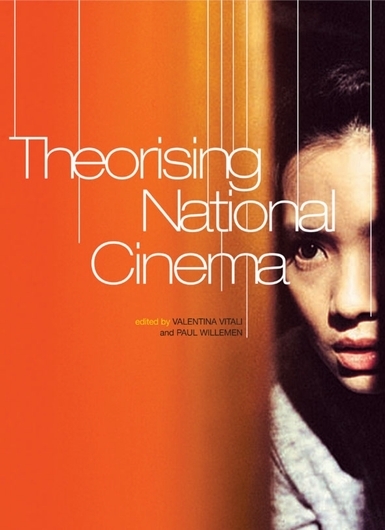 Theorising National Cinema also includes a valuable bibliography of works on national cinema.